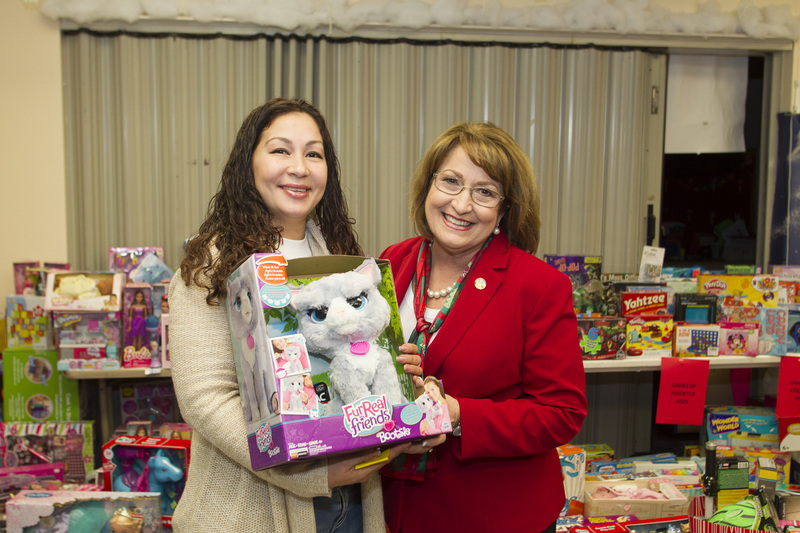 Orange County Mayor Teresa Jacobs welcomed four local mothers to the Ivey Lane Neighborhood Center for Families (NCF) on Dec. 15 for her annual Holiday Heroes Toy Drive shopping event. 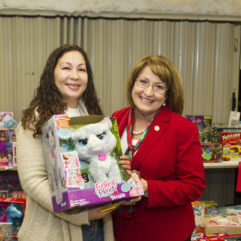 Mayor Jacobs, along with NCF staff, assisted parents in selecting the perfect gifts for their children in keeping with Orange County’s neighbors helping neighbors philosophy. In partnership with the Boys & Girls Clubs of Central Florida on Raleigh Street, the Center was transformed into a scene from “The Polar Express,” with several tables and shelves filled with a variety of gifts, including toys, games and accessories, which were donated as part of Mayor Jacobs’ 2016 Holiday Heroes Toy Drive. This year, Orange County employees and citizens generously donated 6,958 gift items, far exceeding last year’s toy drive collection of 5,100 toys. Once parents made their selection in “The Polar Express,” NCF staff helped wrap the gifts to get ready for the holidays. Families also received a special Christmas dinner box filled with holiday treats and meals. Orange County employees, volunteers and the extended community have contributed greatly to the success of Mayor Jacobs’ Toy Drive. Since 2011, more than 24,200 toys have been distributed to children up to age 18 through several community organizations, including Orange County Neighborhood Centers for Families, Orange County Public Schools’ Homeless Program, Wraparound Orange and United Against Poverty, formerly known as the Community Food and Outreach Center. Upon collection, all toys donated to the Holiday Heroes Toy Drive are sorted by age and gender, a task which is only accomplished through countless employee and volunteer hours. Once again, FOX 35 was the official media partner for the Toy Drive. 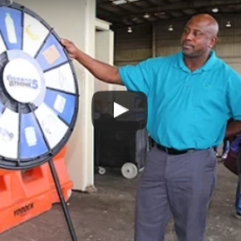 FOX 35 donated airtime, including a special live segment during their morning show Good Day Orlando. For the first time this year, Orange County Government hosted “Coffee with a Cop,” where members of the community were encouraged to donate a toy for coffee and conversation with deputies from the Orange County Sheriff’s Office at the world’s largest entertainment McDonald’s & PlayPlace. To view more photos from the holiday toy shopping event, visit Mayor Jacobs’ Flickr album.